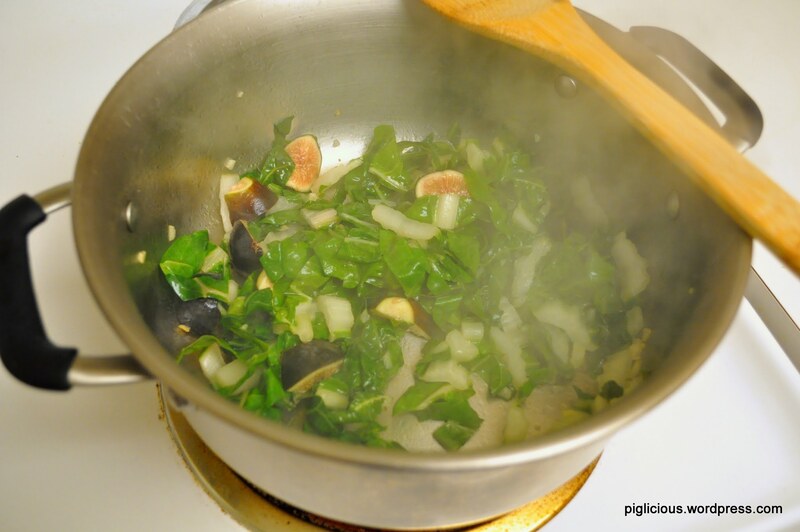 This post is long overdue… I came up with this recipe late summer when I had randomly bought fresh figs that were on sale at Whole Foods. 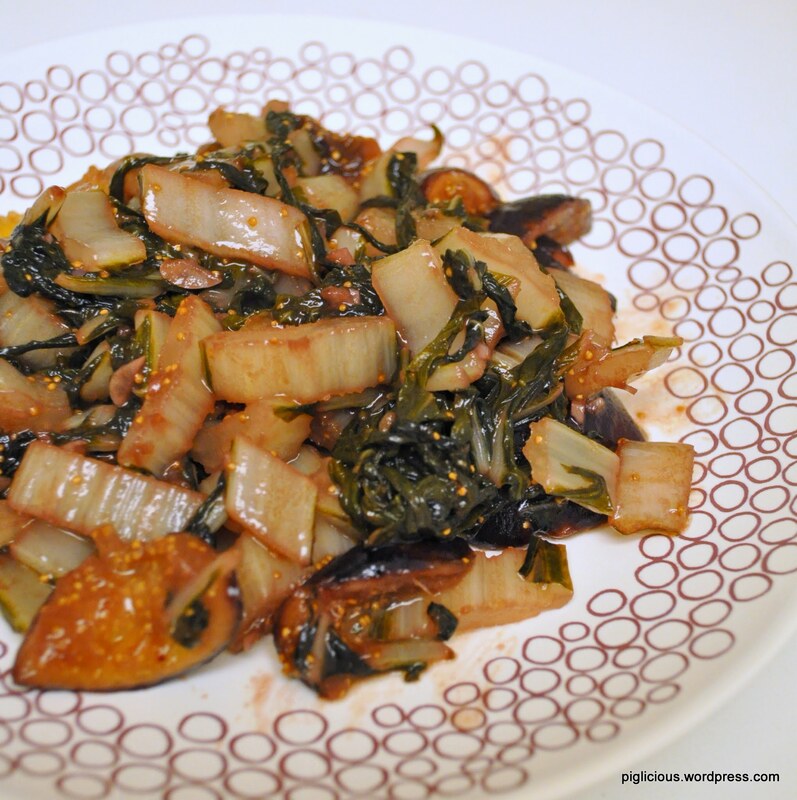 I also had bought swiss chard to make chicken soup with, but I ended up experimenting and pairing the two, swiss chard and figs, together and the flavors turned out quite well! 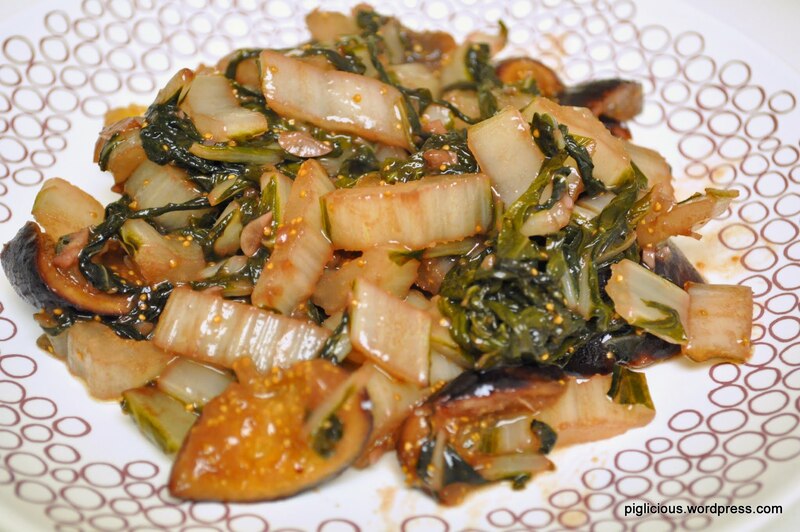 Chop up the swiss chard into small pieces. 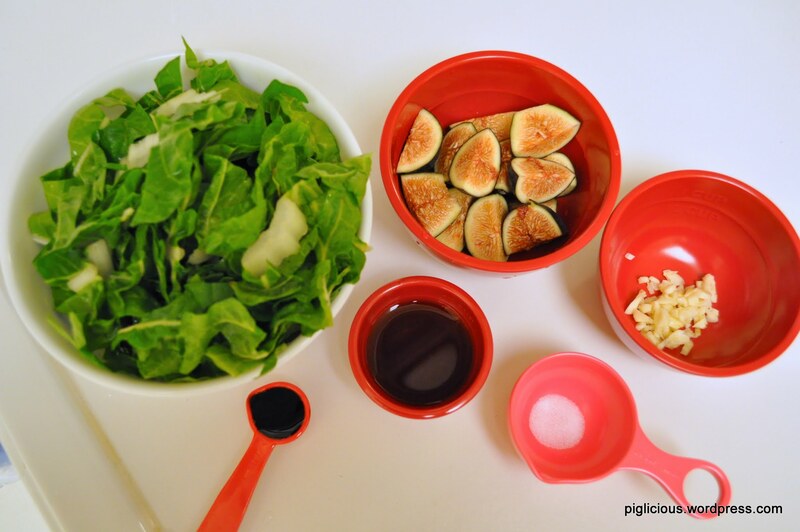 Slice the fresh figs into 4 pieces each. Turn the temperature to high, place about a teaspoon of oil in. When the oil is hot, add the garlic. As the garlic is sizzling, add the swiss chard, quickly stir. 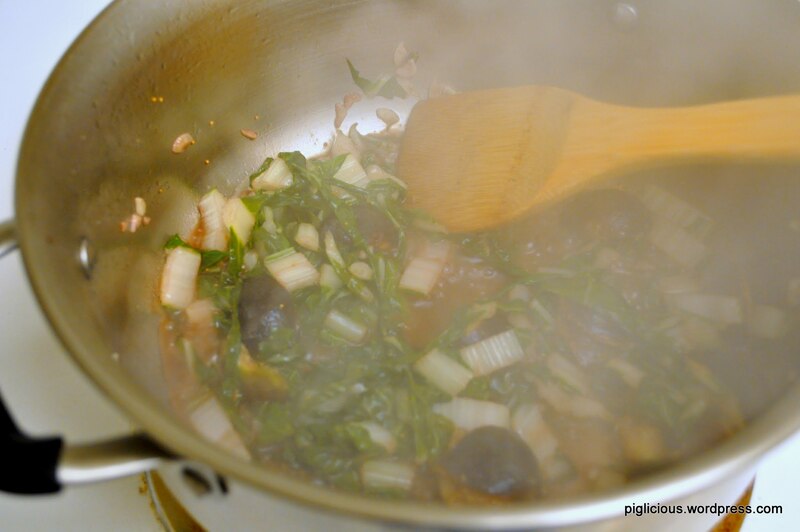 Then add the figs, wine, and balsamic vinegar, and stir. Turn the temperature down to medium high. Add in some salt to taste and continue stirring. Cook for about 3-4 minutes more, or until the swiss chard has softened. The chard should be slightly soft and not too soft..